Northeast corner of 37 Blue Slip (left) and 41 Blue Slip (center) with Hunters Point South Park in the foreground. North façade of 37 Blue Slip (center) and 41 Blue Slip (right). 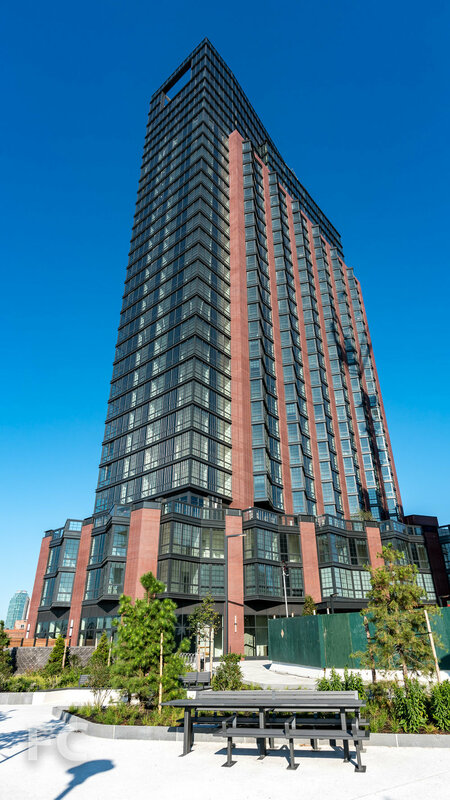 Installation of the brick and window wall façade is wrapping up at 37 Blue Slip, the first market rate tower of the Greenpoint Landing mega project. 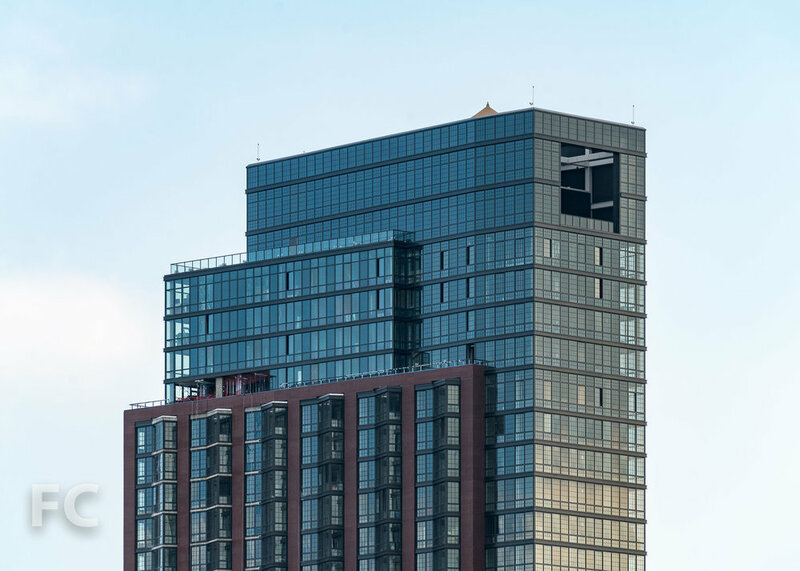 The 30-story tower stands 300 feet tall and will offer 373 residential units when completed. The materials were selected to tie the tower into the neighborhood's industrial past and the adjacent affordable buildings in the development. Northwest corner of 37 Blue Slip from the promenade. Close-up of the northwest corner of 37 Blue Slip. Close-up of the west facade of 37 Blue Slip. Close-up of the north facade of 37 Blue Slip at the base. 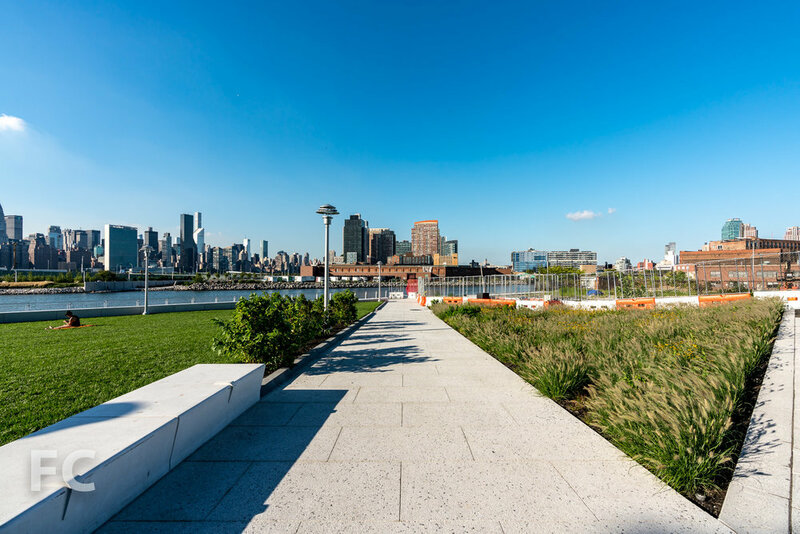 A promenade designed by James Corner Field Operations will line the East River boundary of the master plan. 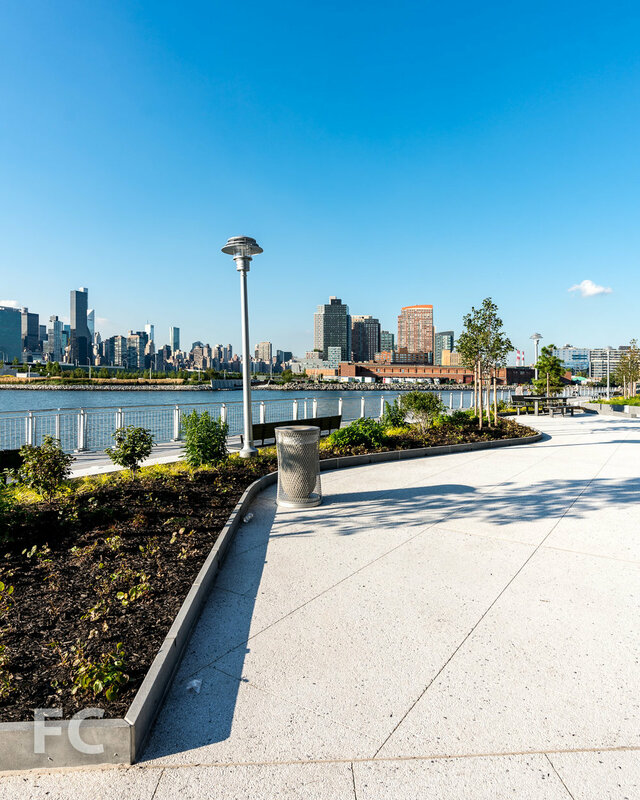 Currently, the promenade is completed and open at 37 Blue Slip. Construction is also underway on the second market rate tower at 41 Blue Slip. Designed by Handel Architects, the tower will stand 40 stories tall and continues to rise adjacent to the first market rate tower at 37 Blue Slip. Superstructure has surpassed the fifteenth floor. Northeast façade of 37 Blue Slip (left) and 41 Blue Slip (right). Northwest corner of 37 Blue Slip (background) and 41 Blue Slip (foreground) from the East River. Northwest corner of 41 Blue Slip from the waterfront esplanade. Looking up at the west facade of 41 Blue Slip. Architect: Handel Architects; Landscape Architect: James Corner Field Operations; Developers: Brookfield Property Partners (37 and 41 Blue Slip), Park Tower Group (37 Blue Slip, 41 Blue Slip, 7 Bell Slip, 5 Blue Slip, 33 Eagle Street), L+M Development Partners (7 Bell Slip, 5 Blue Slip, 33 Eagle Street; Program: Residential, Retail, Education, Park; Location: Greenpoint, Brooklyn, NY.